The Kiev 4 is a well known Russian (Ukrainian to be politically correct) Contax III copy. 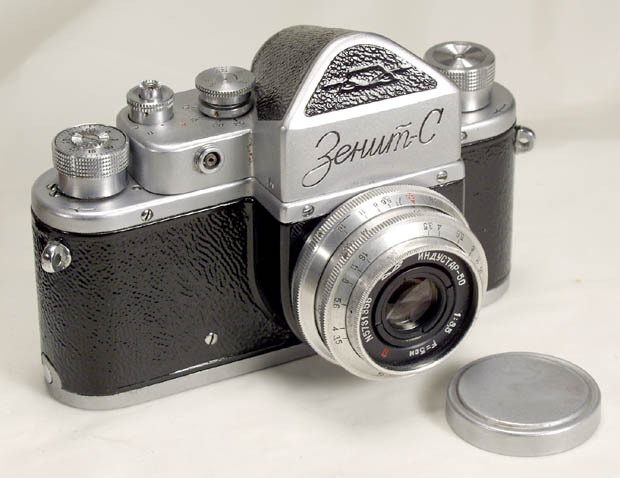 It was the third Kiev model equipped with a light meter. This was a long running production model - with some slight changes Arsenal factory in Kiev produced it from 1957 to 1980. Kiev-4 is very similar to its predecessor - Kiev IIIa, but it adopted some features of the postwar Contax IIIa - a more compact light meter housing and a simplified meter dials / rewind knob. The lens was also modernized - the aperture dial was engraved on both sides of the lens, so the setting is visible regardless of the lens position. The aperture was set in the fixed (with stop-clicks) position. And, of course, the name was changed to Jupiter-8M. All these changes made a proven Contax design more convenient to use. 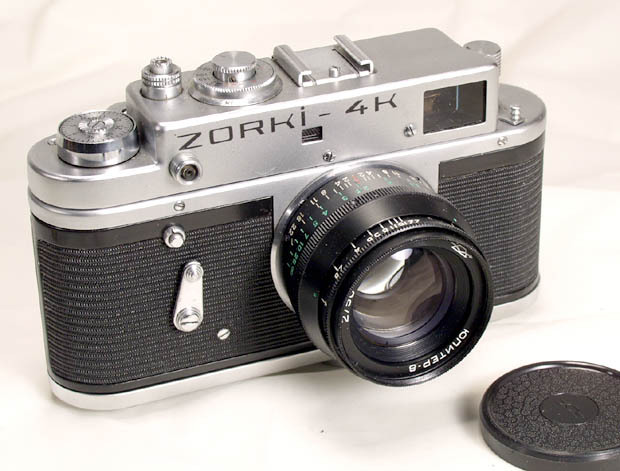 There were two major Kiev-4 variations - the original Kiev-4 (1957-1974) and the Kiev-4 type 2 (1974-1980). In the Kiev-4 type 2 the Arsenal engineers finally admitted that the top speed of the shutter was seldom as fast as 1/1250, and a more realistic 1/1000 was engraved as a top speed. 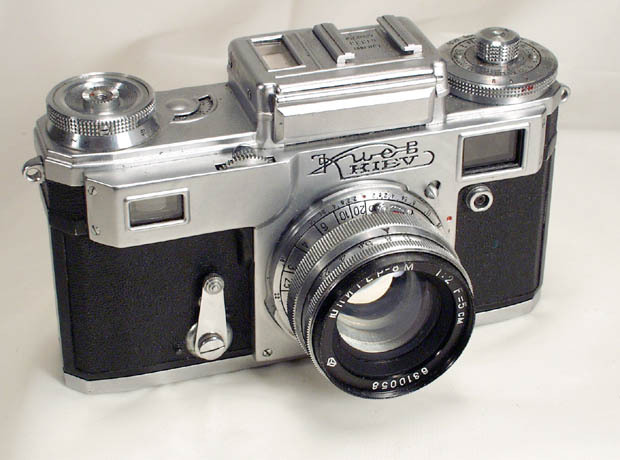 This Kiev-4 was made in 1963, it is a type 1 model. 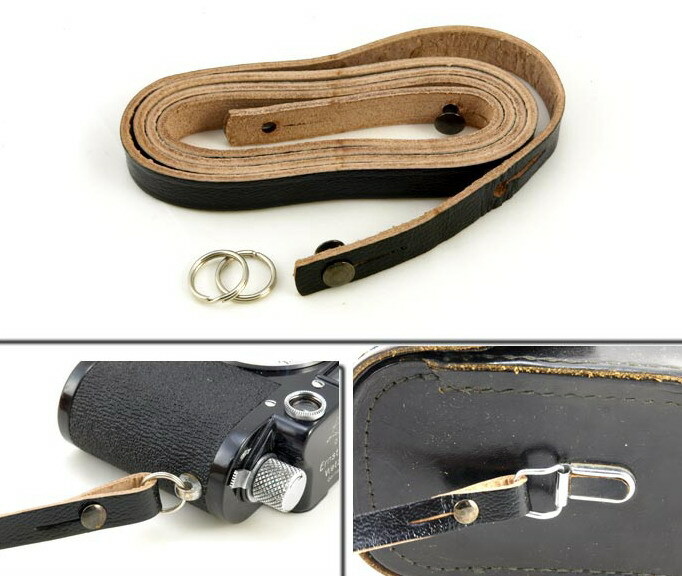 The camera comes with a clean leather case. As well as any Soviet Contax copy, the Kiev-4 is a rugged and precision camera, equipped with a great lens. It is capable of taking advantage of modern films, and is simply a great fun to use. A gem from the Khrushchev Era! Yuri efficiently supplied a ..